The Pajero is a true off-roader, and a legend in its own right. Powered by either a 3.0-litre V6 or a 3.8-litre V6 engine, it can only be had with an automatic transmission nowadays. 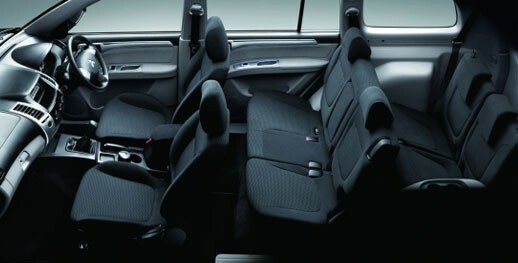 It received a massive facelift for 2007, and can be had in either three-door or five-door body styles. The standard package includes ActiveTrac four-wheel-drive with rear-wheel, full-time all-wheel and 4WD high and low range with locked centre differential. 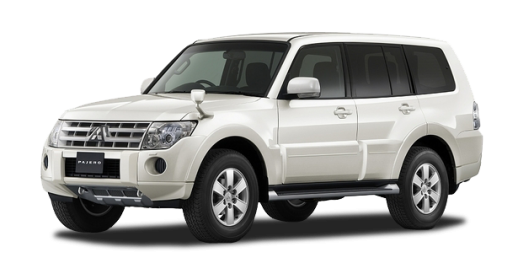 The short-wheelbase three-door Pajero holds five passengers, while the long-wheelbase model holds seven, with a third-row seat that can be folded into a well in the cargo area floor, or removed entirely. Standard features include an RV meter showing external temperature, time, date, compass, pressure, altitude and maintenance intervals. 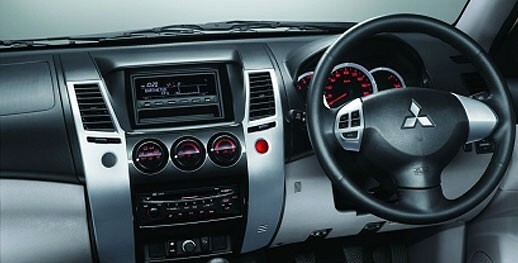 Also standard are a radio cassette player with 6 speakers, automatic a/c, front dual airbags, keyless entry, power windows and mirrors, and alloy wheels. Higher models get a 6-disc CD changer, fake wood interior trim, sunroof, front and rear automatic a/c, traction control, ABS with EBD, cruise control, cool box and leather seats.